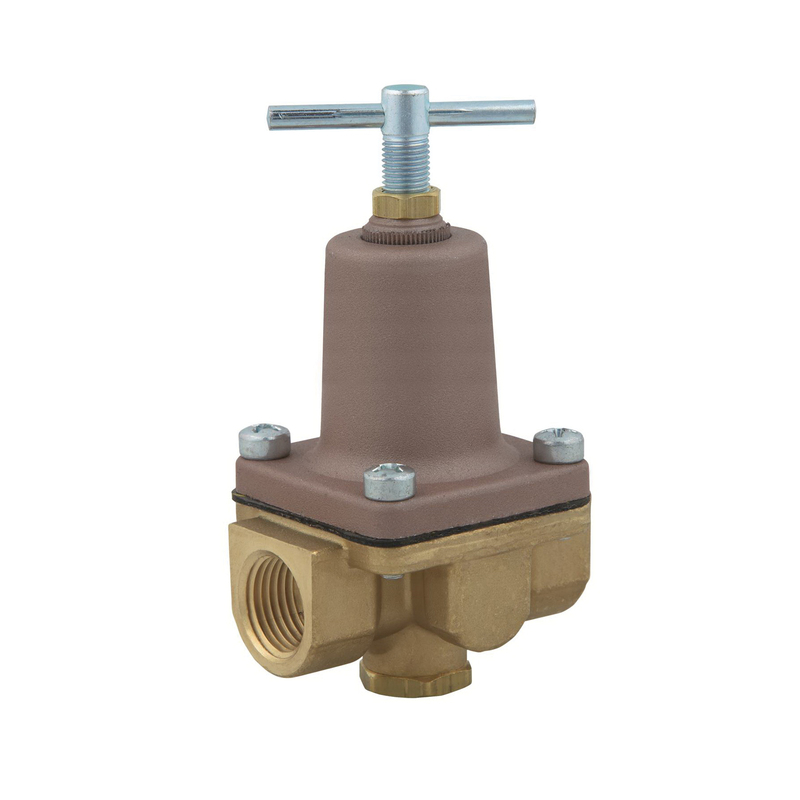 This 3/8 in lead free small water pressure regulator is used in small general purpose applications to regulate water pressure in piping systems using water and No. 2 fuel oil. It has an oversized orifice and is ideally used on beverage dispensing and paint spraying equipment, ice cube machines, humidifiers, drinking fountains, and other small process applications. It consists of a lead free brass body with an adjusting tee handle, NPT threaded female connections, two-way low water pressure gauge port, aluminum spring cage, Buna-N stainless steel disc, and a reinforced Buna-N diaphragm. The reduced water pressure range is 3 to 50 PSI (0.2 to 3.4 BAR) and is factory set at 15 PSI (1.0 BAR).